Sunny and mild day, more people than usual out on the streets of town, pausing to chat. 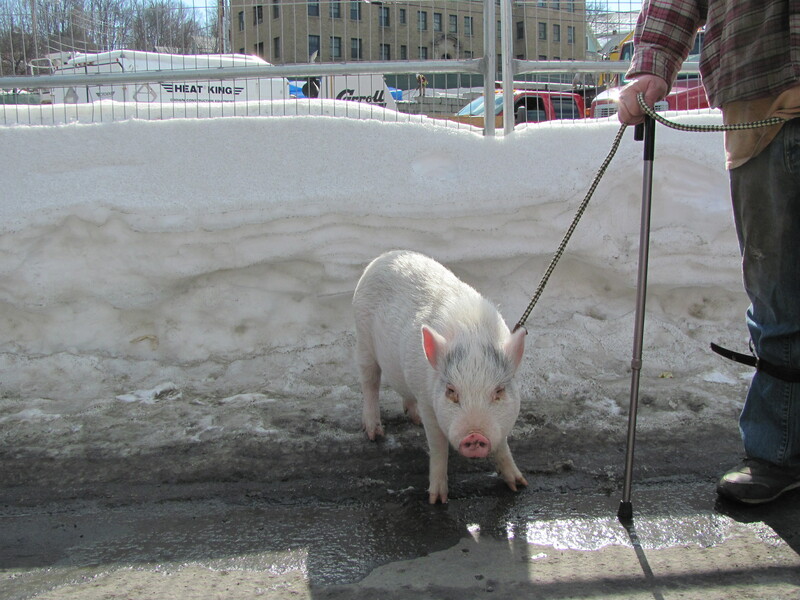 And a sweet-faced pig out for a walk, soaking up the sunshine while her owner stops to visit with a friend. A little bit of spring in the air, a tiny taste, before the cold returns. 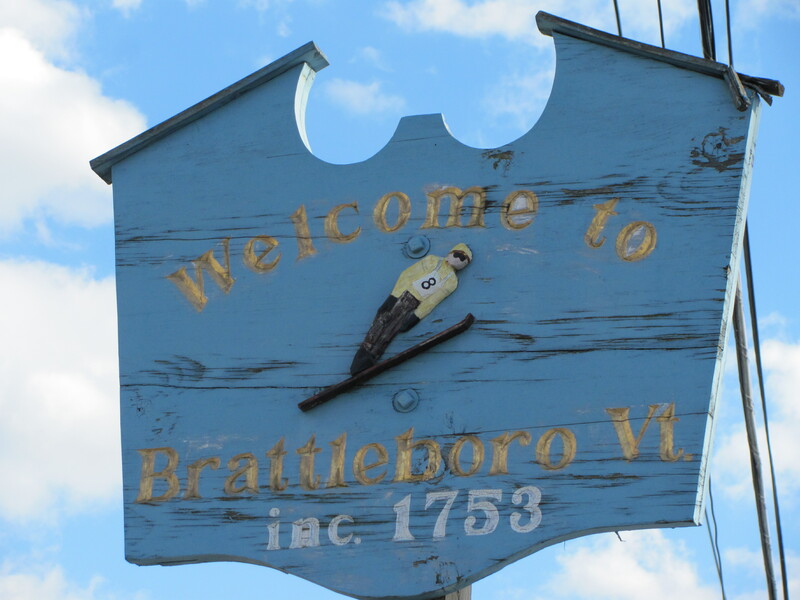 Brattleboro, Vermont is gritty and down-to-earth, real, with a beautiful and active downtown, the largest in the area. 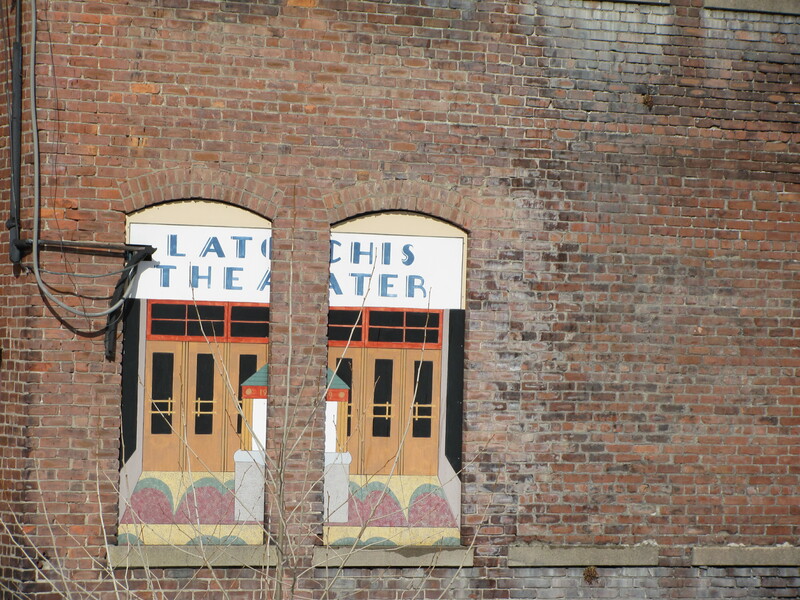 A supporter of the arts, a former mill town, fiercely independent – and my husband’s home town. Nestled in the Connecticut River Valley in southern Vermont, within easy reach of large urban areas to the east and south, with many good cafe’s, an awesome movie theatre, restaurants with locally sourced, organic foods on the menu, and shops with goods to fill most needs and many wants. In winter, three very unique places stand out – an in-town ski hill, miles of nordic ski trails and a ski jump. The Harris Hill Ski Jump is the only 90 meter ski jump in New England and one of only six in the USA of its size and caliber, completely rebuilt in 2008. It is a first-class venue in the sport of ski jumping. 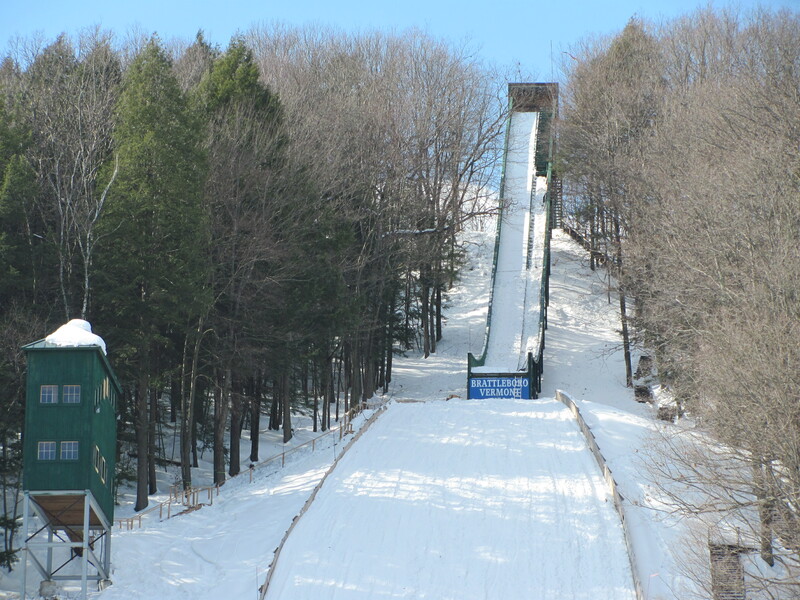 Next weekend – Feb 19 and 20 – the jump hosts the Fred Harris Memorial Ski Jumping Tournament, a two-day ski jumping competition. Click here for details. Living Memorial Park Ski Lift, on the west side of town has a family friendly ski hill with lots of intermediate or beginner trails. The “Guilford Street Ski Tow” opened for business in 1938, and was one of the first three ski areas in the US with a lift east of the Mississippi. In 1939, lights were added, and the tow operated three nights each week and the ticket price was 25 cents. Many years later, the ticket price is only $5, and the hill offers both day and night skiing – right in town. 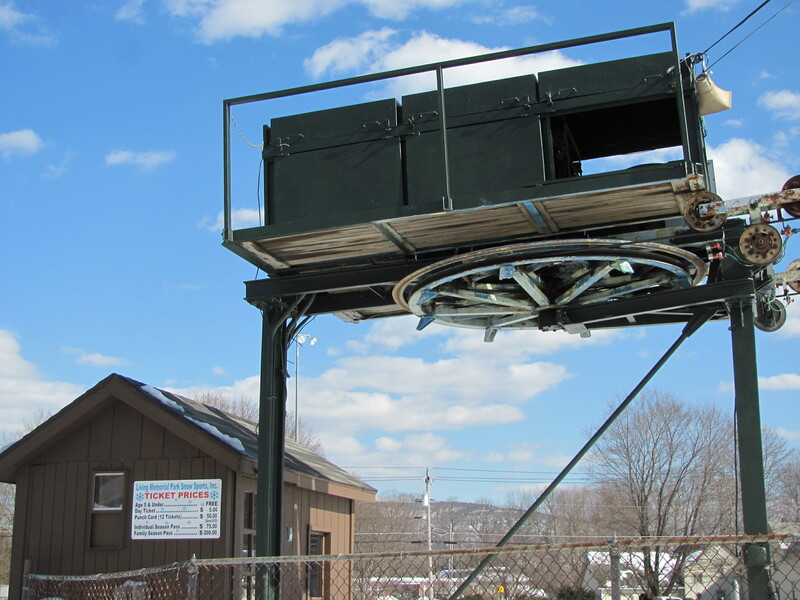 For some fun history tidbits about the ski area, click here. 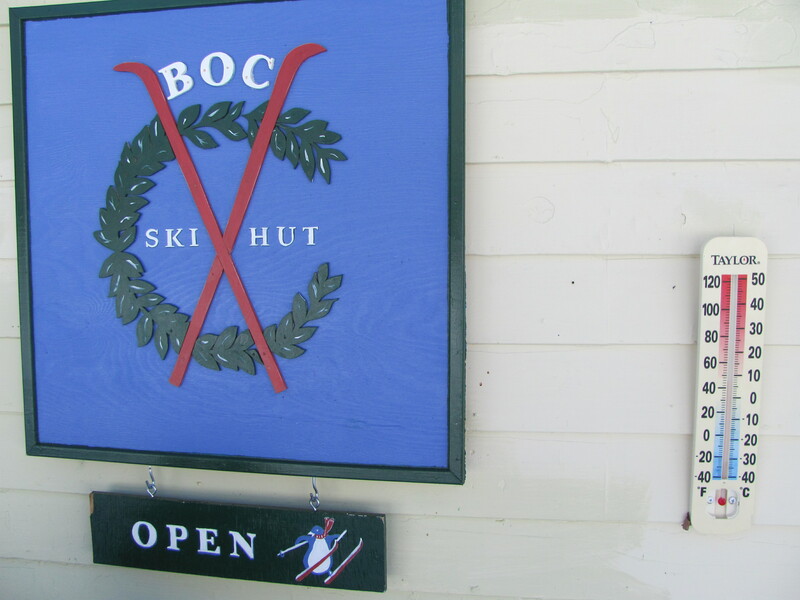 On the north side of town, the Brattleboro Outing Club maintains 25 km trails for nordic skiing on the rolling hills and manicured woodlands of a summer golf course. All three speak to a very cool town dedicated not only to the arts – but also to keeping alive three very unique winter sports treasures rooted in nordic traditions.